Yes they have a VIP club. 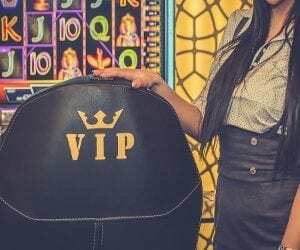 If you email vip@tradacasino.com you can find out more information on how to gain access to the VIP club. A very safe casino with UKGC license. Visa, Mastercard: Between 1-24 Hours, could take from 2-4 Banking Days. Transfer to Your Bank Account: Processed within 1-24 hours, could take from 2-7 Banking Days. 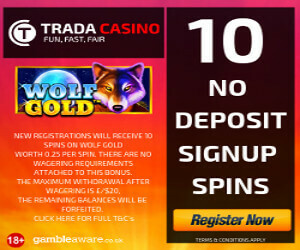 Trada Casino is accredited by Casinomeister, The Pogg and Askgamblers. 100 Great Rhino Bonus Spins Terms. The code GREAT100 must be entered at the time of deposit. This bonus will not be applied retroactively. 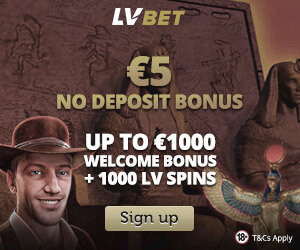 A minimum deposit of £/€/$10 or 100kr is required to claim this bonus. This bonus can only be claimed on your first deposit and cannot be applied retroactively. There is a wagering requirement of 20x the bonus amount associated with this deposit bonus. This bonus is played cash first, you may withdraw your deposit and any winnings accumulated if you have not yet played with the bonus funds. If you do withdraw prior to playing the bonus funds, the bonus amount will be forfeited. This offer cannot be claimed in conjunction with any other bonus. The maximum bet associated with a bonus is £/€/$4 or 40kr for all deposit methods excluding Neteller and Skrill, which have a maximum bet of £/€/$2 or 20kr per round. TradaCasino may increase this maximum bet limit for Skrill or Neteller depositors once prior approval has been obtained from Support via live chat or email. For the purposes of this promotion SEK and NOK are considered to be 10x £/€/$. 10 free spins are available for new PLAYERS AFTER REGISTRATION. You find them on the game Wolf Gold. 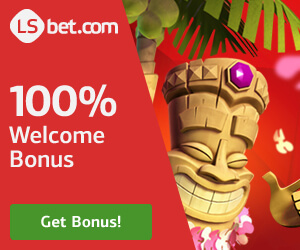 bonus terms: 10 no wagering spins with a minimum/maximum cashout of $/£/€20. Just open the game to play them.